As I was walking through the beautiful and historic campus known as Rice University today anticipating what the chef’s have created for lunch, I happened to walk in on our Executive Chef, Roger and Dining Manager, Julie having a spirited conversation about all things cucumbers. I was impressed by the collaboration and debate over the pros and cons of a waxed cucumber vs. the English variety. Chef Roger in his usual passionate plea for a higher quality item vs. Julie with prices and calculator in hand. You see, Rice University is a self-operated dining operation with 90% of scratch made menus. 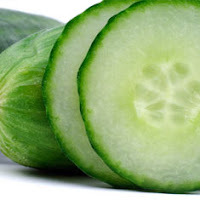 It is not uncommon for us all to debate in such a way over the 500 plus item inventory, but the conversation over cucumbers today reminded me of the true talent of our entire dining operation and level of detail that we think about. “If only the students knew what we do,” Chef Roger noted. We are not looking for the cheapest item at Rice, but the best… Like our students, faculty, and staff. After a very short conversation and some background checking on the availability of the English cucumber from our supplier, the decision was made to change. Why? The English has nearly a 100% yield and softer more edible skin than the waxed cousin. This of course translates to a less labor intensive labor profile for preparation. Although the English is not seedless, the seeds are such that they are small, tender, and well tolerated digestively. What we got was a better item at the same adjusted price as a more inferior product. Great idea and great reasoning to continually make Rice Dining the best… I can’t wait to hear the next inspired idea which could come from anyone of the staff here at Rice.